To say the medium SUV marketplace is crowded would be an understatement. 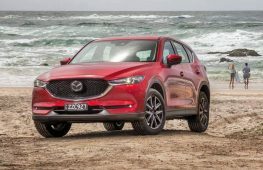 Mazda’s dominance of said segment, however is unquestionable, with the CX-5 remaining the clear sales champion for a number of years now. 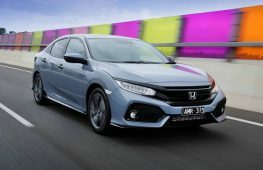 That formula of sporty styling and dynamics, Japanese reliability and just-the-right size has paid dividends. 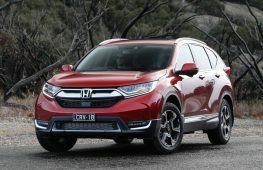 Recently, however, rivals such as the Honda CR-V, Nissan X-Trail have joined the Mitsubishi Outlander in offering a 7-seater option. 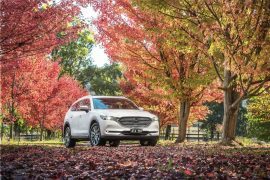 While this hasn’t put a dent in the CX-5‘s dominance, buying a 7-seat Mazda SUV meant going into the next segment up for the CX-9 – until now, that is. 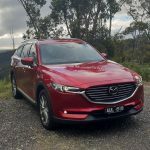 Mazda has concocted a ‘best of both worlds’ formula in the CX-8- a car that starts with the CX-5 as its base- sharing dimensions such as width, but adding the CX-9’s 2930mm wheelbase for more room between the wheel arches. For those wondering, the CX-8 is 4900mm long, 1840mm wide and 1725mm tall. 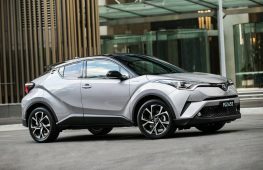 To further justify its existence, the CX-8 is, for now, a diesel-only proposition (although a petrol version just became available in Japan). 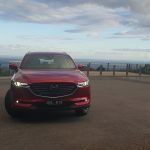 We took the top-of-the-range $61,490 (before on-roads) CX-8 Asaki on a family holiday to see if it really is the ‘Goldilocks’ SUV in terms of size, or if it is compromised compared to a large SUV such as the CX-9. Straight off the bat, we’re onto the most important part. For our holiday, we loaded four adults and two children, including child seats into the car. Being a Christmas trip, this was also a great opporunity to test the CX-8’s present-swallowing ability. 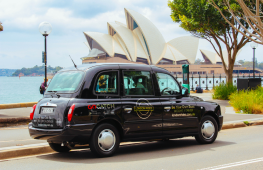 Luggage capacity ranges from 209 litres with all three rows in play, to 742L with the third row stowed. This compares with 230L and 810L respectively for the larger CX-9, but an extra storage cavity expands space to 242L. With all seven seats in play, we might’ve struggled to carry our luggage, but with six occupants, the versatility of the CX-8 was outstanding. 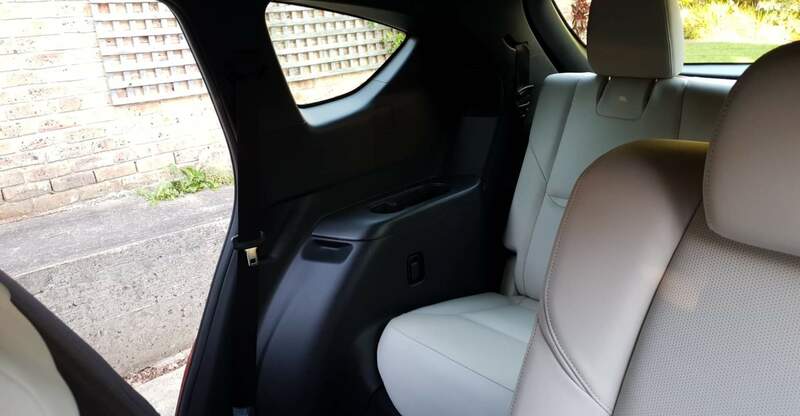 CX-8’s Nappa leather seats look and feel delightfully upmarket, with excellent support for all occupants over the 6 hour journey- even one who had back problems. Another bonus was the second row seats which slid fore and aft, meaning that an average-sized adult was able to fit in the third row. 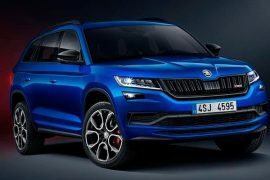 Furthermore, access to the third row is gained easily, with no clumsy mechanism to grapple with, as you would find in a Mitsubishi Pajero Sport, for example. Furthermore, the power-assisted tailgate with soft close was another impressive addition. In this critical area, the CX-8 exceeded our expectations comfortably. 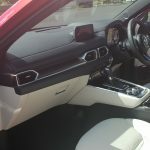 In terms of interior theme, CX-8 follows other models in Mazda’s lineup with sweeping horitontal lines, semi-binnacle instrument cluster and angled transmission tunnel with the brand’s MZD Connect system. 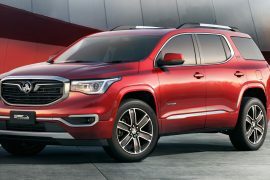 The 7.0-inch touch screen it operates may be smaller than some in its class, but doesn’t want for clarity and ease of operation. Having said that, the navigation was slow to react to route changes at times, and the overall unit we would class as good, rather than class best. At least Apple CarPlay and Android Auto are available now, though. Ergonomically, the CX-8 is sound, with the high transmission tunnel and its array of controls- including radio volume knob- intuitively arranged. Climate control knobs can be adjusted by the driver without looking away from the road, while the range of seat adjustments ensured there were no complaints from any of the occupants throughout the journey. 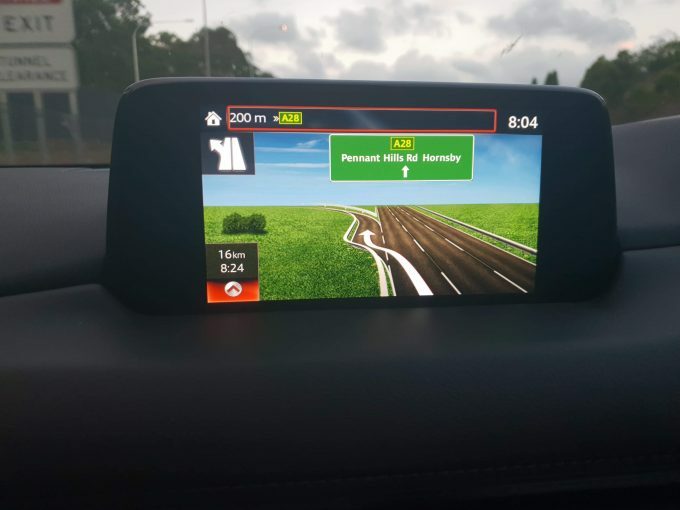 The heads-up display (HUD) ensured that the driver’s gaze seldom wandered from the road ahead, and we’re glad Mazda has dispensed with the pop-up plastic unit of yore. Upon first glance, CX-8 is unmistakably Mazda – especially in the company’s signature Soul Red Crystal colour. Similaritires with the CX-5 and CX-9 are unmistakable, with a side-by-side comparison required to distinguish them. 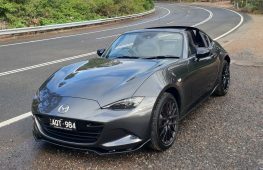 That’s not a bad thing, though as Australians have resoundingly embraced Mazda’s Kodo design language, if the sales figures are any indication. 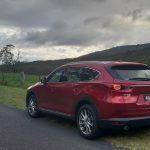 Some might say that the combination of CX-5’s width plus more heigh and wheelbase makes the CX-8 look a bit awkward and gangly, but we say it gives the car character. High quality interior materials are what we’ve come to expect from a modern Mazda and the CX-8 doesn’t disappoint. The Nappa leather from the seats spreads to the door trims and dash, contrasting neatly with soft-touch black trim and chrome highlights. The interior is premium enough to justify every cent of its price tag. Like the CX-5 diesel, CX-8 is equipped with a 2.2-litre twin-turbo diesel four-cylinder, developing 140kW at 4500rpm and 450Nm from as low as 2000rpm. 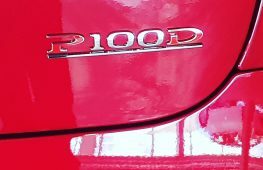 Thanks to a low compression (for a diesel) of 14.4:1, the car has a distinctly petrol-like character, revving cleanly beyond 5000rpm. Futhermore, we did not hear a trace of clatter for the whole week we had the car. This engine is truly a gem, with the only criticism being dull off-the-mark response. 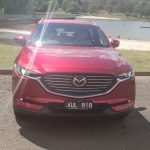 Quoted performance figures include a 0-100km/h time of 9.6 seconds, which is impressive when you consider the CX-8 Asaki’s 1957kg kerb mass is only 16kg shy of big bro CX-9. The sole gearbox on offer is a six speed auto, with a sports mode oriented for sporty driving ( down for +, up for -), but no paddles here. Our trip included a vast array of traffic conditions, gradients and altitude changes that would be sufficient to test the transmission’s logic, and not once did it hunt or feel like it was in the wrong gear. While many rivals are moving to eight-speed-or-more units, the CX-8 makes a compelling argument that less is more. Let’s face it, 1957kg of three-row medium SUV is never going to feel like an MX-5, but the CX-8 never feels cumbersome. The centre-of-gravity feels lower than its tall-and-narrow proportions suggest, while suspension geometry strikes a fine balance between body control and ride (see below). 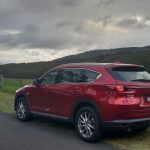 Despite the tauter suspension tune that typically makes Mazdas sporty to drive, the CX-8 had plenty of suspension travel, so was able to absorb potholes and sharp corrugations in the road. Even noise over coarse chip tarmac was impressive, so Mazda have learned some lessons in the NVH department. Testament to their efforts, most occupants were asleep for the duration of our trip. Sun-blocking window shades certainly helped augment the CX-8’s inner tranquility. 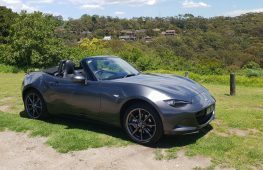 The quoted figure of 6.0L/100km is achievable on the open road – we saw 6.6L/100km, affected in no small part by the Blue Mountains climb, but around town, expect the figure closer to 9.0L/100km. We found ourselves switching the auto-stop system off, as it was too slow for our ever-eager traffic light launches. If you don’t mind letting cars ahead at the lights, leave it on and enjoy the incremental fuel savings. The entry-level, front-drive CX-8 Sport is over 100kg lighter, so has a lower fuel consumption rating of 5.7L/100km. 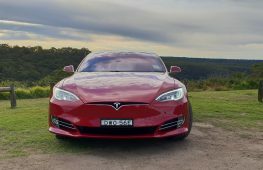 As far as servicing goes, intervals are 10,000km and vary between $322 and $390 for the first five visits. 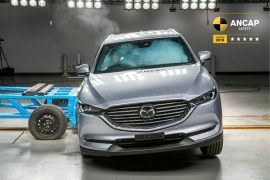 As you’d expect a 5 star ANCAP rating is par for the course, but the CX-8 also comes stacked with active safety features too. These include a handy surround-view camera with a birds-eye projection of the car, radar cruise control, autonomous emergency braking, lane keep assistance, traffic sign recognition, rear cross-traffic alert and auto high beam. To us, none of these features felt obtrusive, only helpful and when they did intervene, it was subtle and most welcome. Other car makers should take note : this is how you balance semi-autonomous driving aids without sacrificing driver enjoyment. But for seat cooling and maybe a panoramic roof, the CX-8 Asaki doesn’t want for much, so represents pretty good value in our eyes. If you are looking at other models, such as the entry-level CX-8 Sport, an entry price of $42,490 (before on-road costs) might not be on the budget end of the spectrum, but considering the depth of engineering and quality, still represents good value in our opinion. 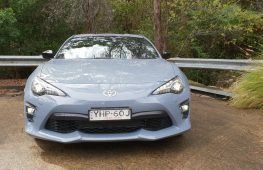 This is a car that was put to the ultimate test- a holiday with a sizable family on board and it passed with flying colours. 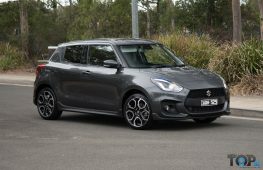 While it might not have the outright versatility of its larger brother, it is close enough where you would feel adequately catered to in most situations. 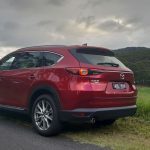 Mazda has obviously structured its lineup carefully, so as not to tread on CX-5 or CX-9’s toes, but an entry-level petrol CX-8 Sport below $40,000 would be a worthwhile addition, we think- especially since Honda is considering spreading the 7-seater option to other models in its CR-V range.